The Primary key of the table is automatically identified by Intrexx and is designated with a key symbol. It must always be included in your selection. Please make sure that your primary key is unique. 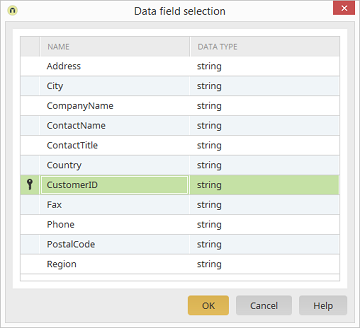 The primary key of a foreign data source will be handled like a string by Intrexx.